There’s normally an intro here, but given everything that’s been happening, as well as returning to work with a week off, I’ve been swamped. Thankfully you have a whole team of writers and podcasters who love writing and talking about Texas Tech baseball. To provide me some slack, it does take about 2 hours to put together the stats for this post and took up most of my Tuesday evening. No. 13 Tech (12-5) hosts No. 22 Michigan (14-4) in a three-game series starting at 6:30 p.m. Thursday. Then the Red Raiders host Stetson (8-12) at 2 p.m. Sunday and 1 p.m. Monday. 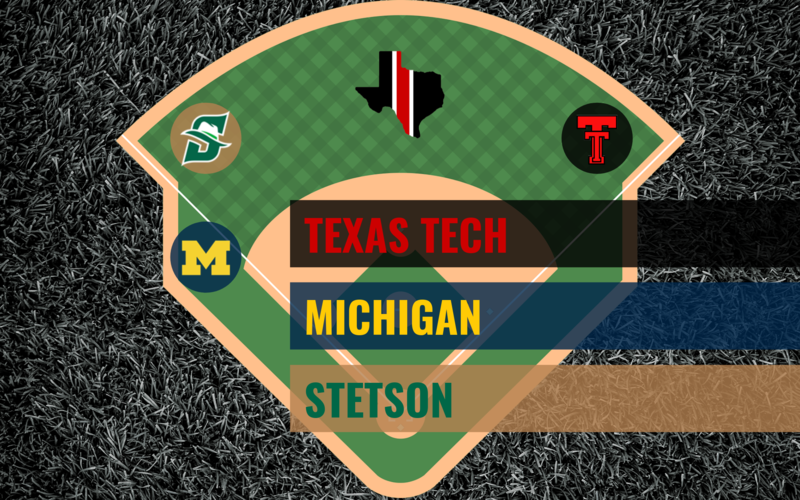 The Stetson series originally was a three-game weekend affair set up via Hatters pitching coach Dave Therneau, a Larry Hays-era Red Raiders pitcher. Later, an opponent canceled a series against Michigan, Tadlock said, and Tech was one of the programs the Wolverines contacted as a possible replacement. To satisfy Stetson’s obligation for three games, the Hatters and the Wolverines will play at 6:30 p.m. Saturday after the Tech-Michigan series finale at 2 p.m. that day. – Right now, regarding the pitching rotation, the coaches are seeing where Lanning can fit in. Micah Dallas will start on Thursday, Kilian is planned to start on Friday and Mason Montgomery and Lanning are to be put somewhere in the other games along with Bryce Bonnin. 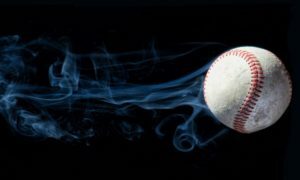 In the Michigan baseball team’s second midweek game of the season on Tuesday, it hoped to avoid the same pitching follies against Western Michigan that it had in the first. Initially, it wasn’t obvious if it could. Sophomore right-hander Blake Beers had his second start of the season — in his first, he cruised through until the third inning before he began to struggle. A feeling of déjà vu spread through the stadium as he did so again. Freshman Micah Dallas went 5 innings and earned the win moving to 2-0, allowing 3 hits, 1 run, walking none, and striking out 7. I don’t know what happened, but I thought that Bryce Bonnin might get a start this 5-game series, but he threw to 1 batter and allowed a hit to start the 6th inning. Dane Haveman went 2 innings allowing just a hit and striking out 3, Taylor Floyd went an inning without issue, and Caleb Freeman also went the 9th inning with a bit of a rough outing, allowing a hit and walking two while allowing a run. The offense hammed out 11 hits and had 9 walks. 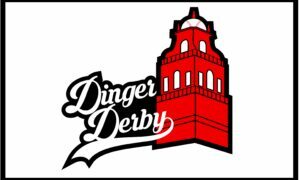 DH Cole Stilwell went 2 for 4 with an RBI, 2B Brian Klien went 2 for 4 with 2 RBI and LF/CF Max Murasak went 2 for 4, scoring 2 runs and 2 RBI.